This 216 acre parcel will provide great hunting and outdoor recreational opportunities for you and your family for years to come. The property is totally wooded and hasn't been logged in recent memory, the trees are huge!. The 700sf log cabin features electricity, running water and bathroom, is remotely located at the end of the winding drive. 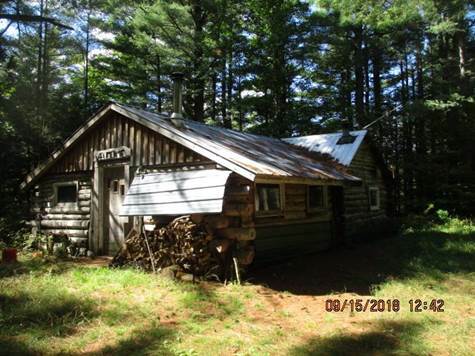 There is a cook stove, refrigerator and wood stove included. The interior features a kitchen, dining area, living room and large sleeping area. Also there is an attached garage/storage area. The 216 acres of forest land features a wide variety of tree species. The property has a DEC forest management plan. There are many miles of trails throughout the property for ATV's and snowmobiles. Many big racks have been taken from the property and it all can be yours, call today.